The AusClean expo is an exciting calendar milestone for any professional within the Australian cleaning industry. But Alphaclean’s presence at this year’s event is even more significant. Having purchased the floorcare division of water, hygiene and energy firm Ecolab 10 months ago, Alphaclean quickly became a trusted machinery business in this specialist industry. 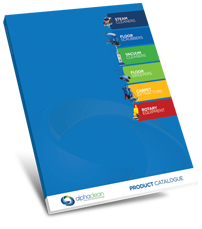 Now the sole Australian distributor of commercial and industrial floorcare equipment from world-leading manufacturer Truvox International, Alphaclean’s reputable brand is set to grow further still. Committed to delivering safe, sustainable and cost-effective cleaning solutions from its Queensland headquarters, the knowledgeable Alphaclean team is the ideal partner for clients in the hospitality, facilities management, education, retail, health care and aged care industries, to name just a few. By importing and delivering the world’s most innovative cleaning equipment to customers throughout the country, Alphaclean aims to encourage best-practice approaches to industrial and commercial cleaning. Not only will customers benefit from increased hygiene and safety, they can also heighten their productivity, save money and reduce their environmental impact. 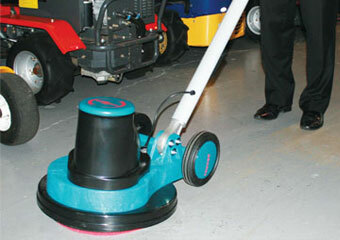 The revolutionary Cimex range of three brush multipurpose floor cleaning machines. The first of their kind in Australia, the varied Cimex technologies offer unbeatable performance, ease of use and increased operator safety.